Polar has unveiled a new Android Wear smartwatch today in the form of the Polar M600, which the Finnish company will be launching towards the end of Q3 2016 priced at $329, or €349. The Polar M600 GPS sports smartwatch runs the Google’s Android Wear operating system and includes 4GB of on-board storage which can be used to synchronise music from Google Play if desired. The new “sport optimised” smartwatch supports both Android and iOS devices and includes the same magnetic charging cable as the previously launched Polar Loop 2. 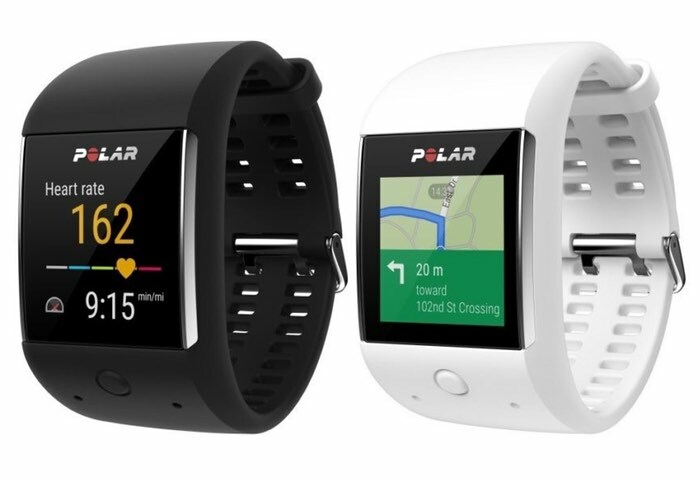 Other features of the Polar M600 include GPS, GLONASS together with a 500mAh battery. Check out the video below for a comprehensive overview of the new Polar M600 GPS Sports Android Wear watch. The waterproof Polar M600 is an Android Wear smartwatch designed to suit an active lifestyle without compromises – a sports smartwatch from the smart sports watch people. With Polar M600, you can enjoy the practicality of Android Wear and the power of Polar’s sport features. Make the most out of your everyday life wherever you are – at the office, by the pool or setting your personal bests. Polar M600 features the proprietary Polar wrist-based heart rate measurement technology, optimized for Polar M600. Training with Polar M600 is convenient and easy. Simply tighten the band and you’re ready to train. Polar provides over a hundred different sport profiles which enables you to choose the right one for your training sessions, and get sport-specific reports and feedback. All sport profiles are based on specific logic and give you the most accurate data, for example, about burned calories. Manage your sport profiles in the Flow web service. For more information on the new Polar M600 smartwatch jump over to the official Polar website for details by following the link below.